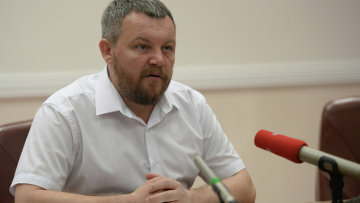 Poroshenko’s statement that there will be no federalization in Ukraine was meant for internal users, nobody in Europe will hear him, according to the Chair of DPR People’s Council Andrey Purgin. Poroshenko’s statement that there will be no federalization and no statuses, I can bet nobody in Europe will hear it. It was made for the internal user, this is two-faced Ukrainian politics. This entry was posted in News from Ukraine and tagged DPR, Europe, LPR, Minsk agreements, Poroshenko. Bookmark the permalink.